Those who buy a GrubMarket membership get discounts on different items, rack up points for every dollar they spend, and get free deliveries no matter the size of their baskets. Non-members pay a delivery fee unless they hit a certain threshold, usually around $35 an order. In that way, the company is comparable to something like a CostCo or Amazon Prime. 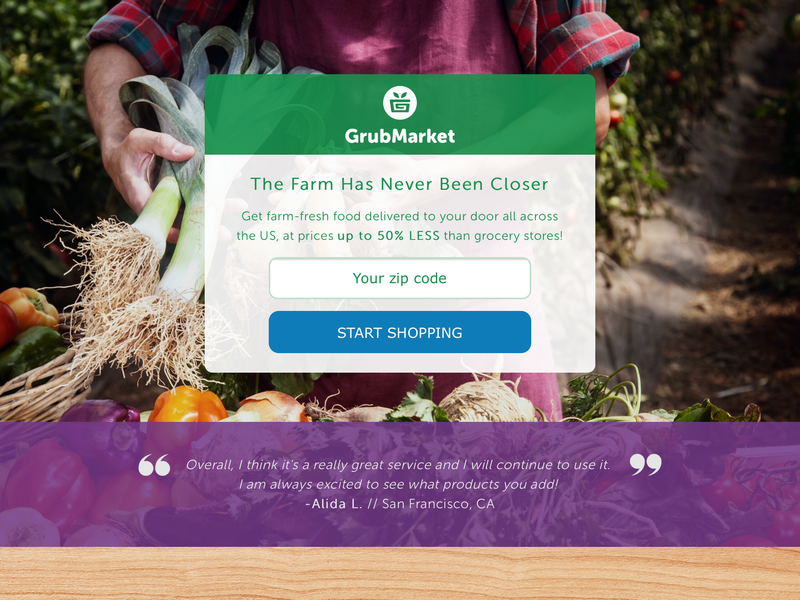 Investors in GrubMarket’s new round included Ashton Kutcher’s Sound Ventures, Global Founders Capital, Riverhead Capital, GGV Capital, Fosun Group, Danhua Capital and individual investors Fabrice Grinda and Gang Wang. Having a proven concept -they say they have broken even on their business- and being comparatively inexpensive as a company and not yet being available in that many markets yet (think needing capital for expansion) they seem like a perfect fit for an acquisition by someone with capital who wants to be a player in the US online grocery market. But the (official) plan right now is to go public in “late 2018 or 2019“. Since we started, less than 2-years ago, we grew incredibly fast from just $40K of monthly sales to over $1 million today and in the San Francisco Bay Area alone. FarmBox is based in LA and is giving us the opportunity to scale beyond our local market – passing the $1.5 million sales on our way to multi-million dollars sales in 2016 – but also position GrubMarket as the leading consolidator in this huge online grocery market.